Two University of Notre Dame researchers — Martin Haenggi and Prashant V. Kamat — have been named to Clarivate Analytics’ 2017 Highly Cited Researchers list. Clarivate’s list identifies the scholars who published the most articles that are in the top 1 percent of the most-cited articles. It includes about 3,500 researchers world-wide, categorized into more than 20 different science disciplines. Haenggi, Frank M. Freimann Professor of Electrical Engineering, concurrent professor of applied and computational mathematics and statistics, and affiliated member of the Wireless Institute, was ranked among the highly cited scholars for computer science. He is the editor-in-chief of the Institute of Electrical and Electronics Engineers’ Transactions on Wireless Communications and he directs the Emerging Wireless Architectures Laboratory. Haenggi’s research interests include wireless communications and networking, with an emphasis on cellular, ad hoc, vehicular, cognitive and sensor networks. Kamat, Rev. 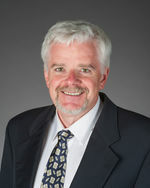 John A. Zahm, C.S.C., Professor of Science, concurrent professor of chemical and biomolecular engineering, and affiliated member of ND Energy, was categorized as a highly cited researcher in chemistry. 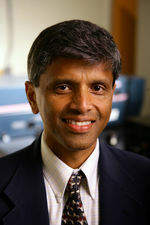 Kamat is currently serving as the inaugural editor-in-chief of ACS Energy Letters, a peer-reviewed journal from the American Chemical Society (ACS), and is a leader in the field of converting solar energy to electricity and chemical energy. His research interests include nanotechnology and materials chemistry, solar energy conversion, chemical processes in heterogeneous media, and solar fuels. Originally published by Brandi Klingerman at research.nd.edu on December 18, 2017.